Follow us through the looking glass with designer Sally Kuchar as we reflect on the frabjous—and mimsy—mirrors available in the jabberwocky world of design. Mirrors have captured the aesthetically inclined, navel-gazing set since Narcissus first glimpsed himself in the pool. Whether expressed as objects or as symbols in art, literature, or music, they are the preferred surface for self-speculation. One need only study Velázquez’s Las Meninas, Manet’s Bar at the Folies-Bergères, or perhaps the lyrics to a certain Michael Jackson tune to understand the impact of an artfully placed mirror. But a mirror does more than simply reflect your face; its form and scale can convey a lot about your personal aesthetic. Contrary to what Ovid might say, that which a mirror beholds is more than a shadow of a reflected form; it has a substance of its own that can, at the very least, metamorphose a room. What’s more, there’s a host of quirky interpretations of the traditional wall mirror that will capture your personality in addition to capturing you. To make sense of these unusual wall hangings, we asked interior designer Sally Kuchar, whose energy and wit are reflected in each of her designs (and whose yen for aesthetic transformation would make the King of Pop proud) to help us decipher which of these six mirrors is the fairest of them all. Sally Kuchar’s interest in design was piqued at age seven, sitting in her father’s Wassily chair. It’s as difficult to top Tord Boontje in whimsical, laser-cut patterning as it is to pronounce his name. We agree that while this mirror is both grand and au courant, it will not likely age well. 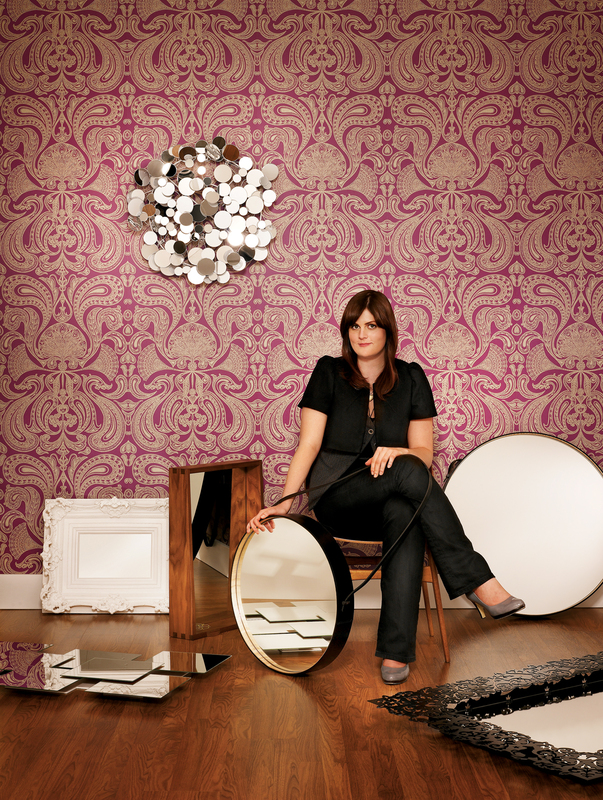 These mirrors really work well in a pair, a sort of graphic coupling on a bare wall. The stark simplicity of the form and the simple use of material make it very versatile and easy to look at and in.